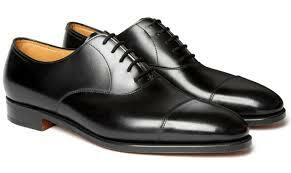 Fionn Select, exclusive to Aston Formal Wear. Slim-fit blue. charcoal and black check tweed. Designed and woven in Donegal the 100% pure wool tweed is finished with luxury black velvet shawl collar, pocket trims and buttons. Magee's signature blue wolfhound and bronze lining add to the luxury. The trousers are our slim-fit Dylan flat fronts with a buckle and strap adjuster and narrow ends. 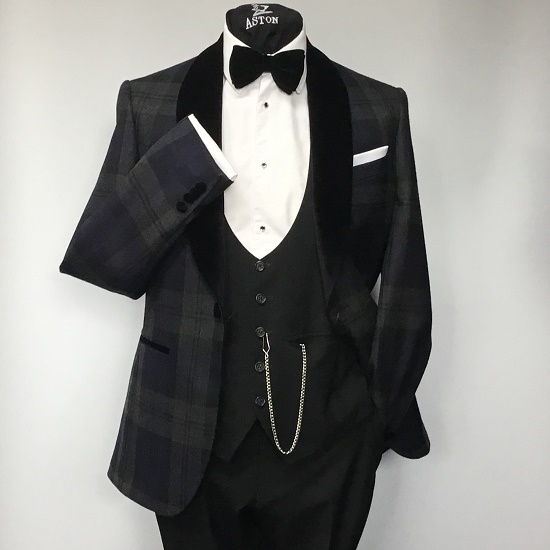 The Fionn Select tuxedo comes complete with dress-shirt with black studs, cufflinks, black velvet bow tie and black evening waistcoat. 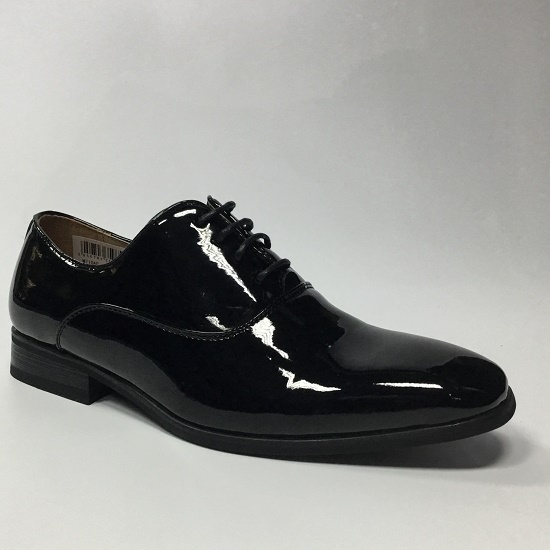 Select tuxedos are available in limited sizes and quantities. Ideal for single rentals where individuality counts.